There’s no excuse for this for the parties involved; just clean up after yourself. 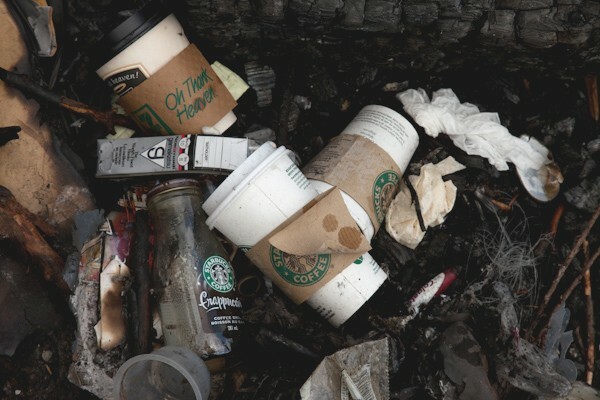 In addition, maybe the obvious vendors of some of the products in this photo can increase their efforts to promote the use of re-usable coffee cups and such instead of this used-once trash. And no, a lot of this stuff shouldn’t be burned. Much of it can be recycled, too. Thanks for the post. It needed to be said. Sad to see but good to see someone speak out about it.